Students were evacuated from the Patti and Allan Herbert Wellness Center Friday night as a precaution after a suspicious device was found inside the building. 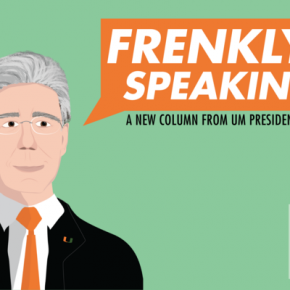 Employees of the Wellness Center were informed of the existence of the device after it began making a sound, said Peter Howard, Assistant Vice President for Communications and Public Relations at UM. Visitors to the Wellness Center were instructed to evacuate at approximately 8 p.m., Howard said. Around 8:20 p.m., the university sent out an Emergency Notification Network (ENN) alert notifying UM students of the discovery and evacuation. 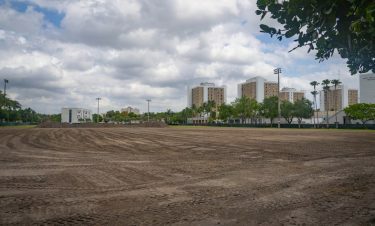 Among those being removed from the center were students participating in Sports Fest, the University of Miami’s annual sporting contest where students living in each residential college compete against one another. Many of the sporting competitions, scheduled throughout the weekend, are held at the Wellness Center and IM fields. As a result of the potential threat, UM and Coral Gables Police Department vehicles barricaded all entry points to the surrounding areas of the Wellness Center, including the main entrances to Stanford and Hecht Residential Colleges. Students attempting to enter the dorms were directed to enter through the back, via the Stanford-Hecht bridge. Both Walsh Ave. and Dickinson Drive were closed off to traffic. The Miami-Dade Bomb Squad was also on scene. 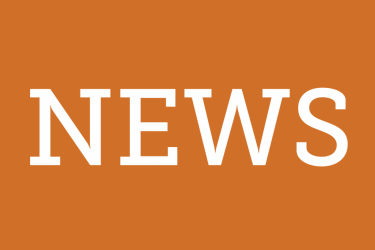 At 10:02 p.m., the university sent out another alert notifying students the scene had been cleared and the Wellness Center would re-open in the morning on Feb 11. Late night dining at Hecht and Stanford Dining Hall has been cancelled for the night. Update, 12:19 p.m. , Feb. 11, 2017: Howard confirmed the suspicious device found inside the Wellness Center on Feb. 10 was an insulin pump. The pump was inside a trash can and created a sound as a result of a low battery.